Copyright: By entering the Contest, all entrants grant an irrevocable, perpetual, worldwide non-exclusive license to Authorized Parties, to reproduce, distribute, display and create derivative works of the entries (along with a name credit) in connection with the Contest and promotion of the Contest, in any media now or hereafter known, including, but not limited to: display at a potential exhibition of winners; or online highlighting entries or winners of the Contest. 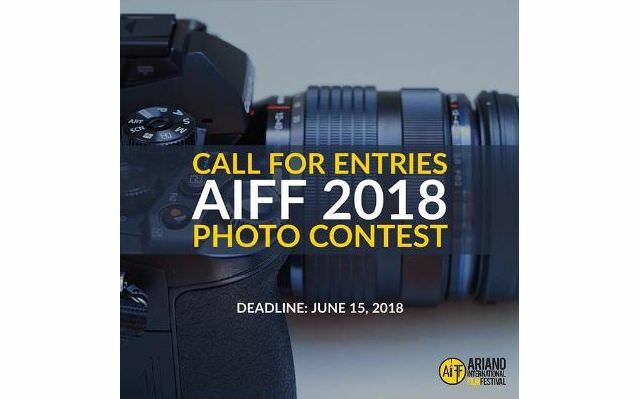 All finalists will take part in an exhibit within the Ariano International Film Festival 2018. Image requirents: 10 megabytes or smaller, JPEG or JPG format, and 300 dpi. Only minor burning, dodging and/or colour correction is acceptable, as is cropping. High dynamic range images (HDR) and stitched panoramas are NOT acceptable. Participants must send a mini portfolio of 6/10 photos. Online submission of digital photographs via the website.